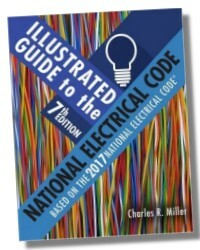 The author uses highly detailed, technically accurate illustrations to make even the most complex aspects of the code easier to understand and apply, translating the often complicated language of the 2017 NEC® into clear, simple instructions and helpful visuals. A logical organization of topics lets you explore fundamental concepts before progressing to requirements for various dwellings, from one-family homes to multi-family housing, commercial locations, and special occupancies. In addition, a convenient, modular format makes it easy to reference relevant information as needed. 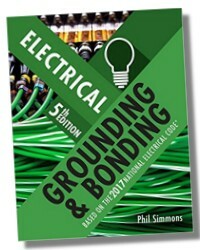 The Seventh Edition of this trusted text combines accurate, up-to-date coverage of changes to the 2017 NEC, numerous new and updated illustrations, and an innovative learning approach perfect for today's visual learners, creating an indispensable resource for students and professionals alike. Calculation Worksheets included in the text provide readers with straightforward, error-proof methods to perform complex calculations that are essential for success as an electrical professional. Unit objectives are provided for each section to introduce new concepts, identify key learning goals, and prepare readers to master the material more effectively. Each chapter features a summary of key content, as well as a competency test to help readers review more effectively, assess their understanding of the material, and identify any areas that need additional study. A visually appealing, full-color layout helps bring even difficult concepts to life vividly, making it easier to absorb and apply essential electrical concepts--and master the details of the NEC®. 496 Pages - 8-1/2 x 11 in. Charles Miller: For 18 years, Charles R. Miller owned and operated a successful commercial electrical contracting company (Lighthouse Electric Co., Inc.) in Nashville, Tennessee. 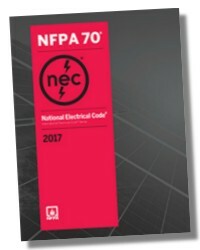 Now an accomplished author and educator, Mr. Miller specializes in leading customized seminars on the National Electrical Code® (NEC®), as well as National Fire Protection Association (NFPA) 70E. Class and seminar attendees have included employees of companies such as Ford, A. O. Smith, and The Aerostructures Corporation, as well as academic institutions such as Tennessee State University, Vanderbilt University, and Purdue University. 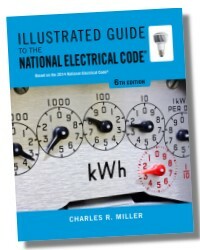 Mr. Miller also wrote and illustrated the monthly "Code In Focus" column in ELECTRICAL CONTRACTOR MAGAZINE, and he co-hosted a home improvement radio talk show in Nashville for more than three years.